It started with Nike suspending its relationship with Maria Sharapova followed by two other endorsements, Porsche and TAG Heuer. Now company spokesperson Maria Sharapova announced at a press conference she was suspending her relationship to Sugarpova. 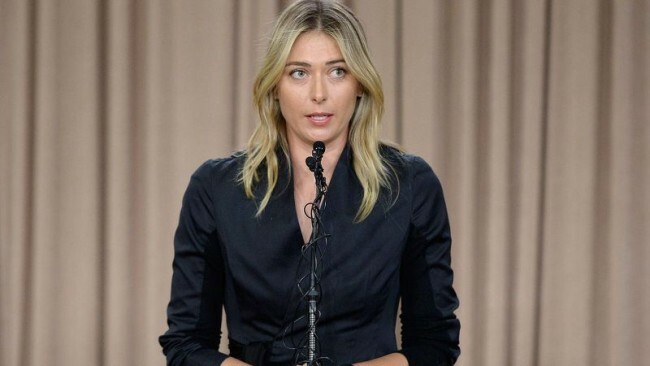 She said her company will suspend ties to herself until more details regarding her use of the banned substance Meldonium. Sharapova also has been a longtime brand ambassador for Sugarpova — but her page on the company’s website was no longer available on Tuesday morning. Sugarpova also said it was “saddened by the recent news” and has “chosen to postpone planned activities” pending further details and analysis. Meldonium is used to treat chest pain and heart attacks among other conditions, but some researchers have linked it to increased athletic performance and endurance, according to Reuters. Sugarpova is a premium candy line that reflects the fun, fashionable, sweet side of international tennis sensation Maria Sharapova. Maria has created her own candy business to offer an accessible bit of luxury, interpreting classic candies in her own signature style. A long time candy lover with a surprising sweet tooth, Maria is bringing a new level of quality to the candy category through fun, unexpected types and shapes – with playful names to match. Wrapped up in a beautiful package, it’s both style and substance, just like founder Maria Sharapova.